Straight off the back of reports that Nintendo intends to launch not just one, but two new Nintendo Switch consoles in 2019, come fresh whispers from Japanese video games site Gamepedia that one of those consoles is not only set to land "early in 2019" but that it will also offer some serious hardware upgrades on the original system. 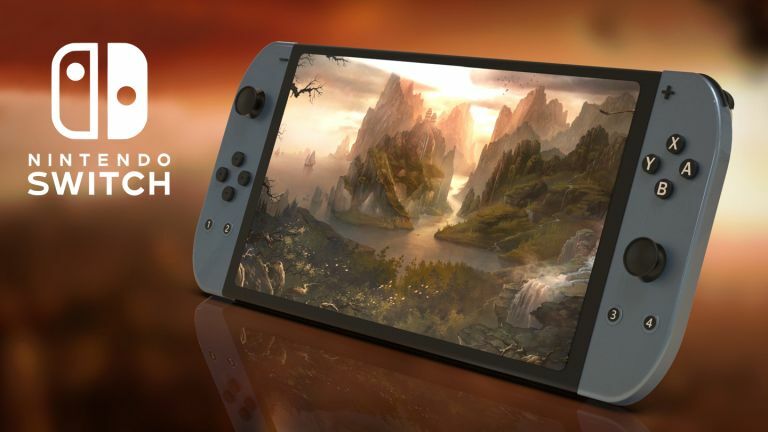 This upgraded new Nintendo Switch 2, which was first reported by Dutch tech site LetsGoDigital, is rumoured to come with 8GB of RAM (the original Switch just has 4GB), 128GB of internal storage space (compared to the original's 32GB) and, amazingly, 4K video playback functionality. Right now the Nintendo Switch can only handle Full HD resolutions over HDMI in TV mode, and HD resolutions when in handheld mode, so the ability to play 4K video content, if not games at 4K, would be a major improvement and a feather in the new Nintendo Switch 2's cap. And especially so as there has been talk that the new console's screen will also be a brighter and thinner OLED panel. Naturally, this new spec for an early 2019 Nintendo Switch console is far from official, and it is worth remembering what Nintendo of America President, Reggie Fils-Aime said in December of last year, that "the current execution of Nintendo Switch with the Joy-Con and all of the capabilities, that’s our focus right now". However, there has been a pretty incessant flow of reports and rumours over the past six months saying that Nintendo was hard at work on a new Nintendo Switch, and many stem from insiders and analysts with top-tier connections and information access to the Kyoto-based game maker. Plus, when you throw in the fact that sales of the original Nintendo Switch have reportedly slowed pretty fiercely over the past six months, it feels right to us here at T3.com that Nintendo would look to bolster sales so it could hit its financial targets this year with a brand new console launch. One thing is for sure, though: a new Nintendo Switch console with specs and abilities similar to the one rumoured here would sure be a tantalising proposition for gamers, granting them the ability to play the Nintendo games they love with better performance and graphics and enjoy genuine UHD content, too. Here's hoping we get to hear more about a new Nintendo Switch before E3 2019.